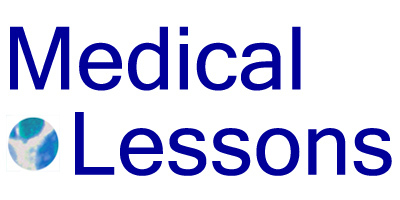 Medical Lessons – Stats in the News! False positives have hit the headlines. Check the New York Times, Wall Street Journal, CNN – they’re everywhere. Even the Ladies’ Home Journal skirts the subject. The discussion on mammography runs something like this: studies show that cancer screening save few lives. Among women younger than 50 years, there’s a high rate of false positive results. Those misleading tests lead to more imaging procedures such as sonograms and MRIs, additional biopsies and, necessarily, higher screening costs. Women are ignoring the numbers, choosing reassurance over hard facts. Some say members of the pro-mammogram camp are irrational, even addicted. The best response is to look carefully at the research findings. Two recent publications sparked the current controversy: one, a single paper in the Journal of the American Medical Association and the other, a cluster of articles in the most recent Annals of Internal Medicine. Using a variety of research tools, the authors in both journals examine the effectiveness of cancer screening. Here, the investigators consider the risks and benefits of mammography from a medical perspective; they don’t focus on monetary aspects of the issue. 5. Over-diagnosis – this interesting and, in my view, exaggerated issue warrants further discussion. For now, let’s approach the problem of false positives in mammography (as in #4, above). False positives happen in mammography when the images suggest the presence of a malignancy in a woman who doesn’t have cancer in her breast. How often do these occur? Before we can establish or even estimate the costs of false positives in screening mammography, medical or economic, we need to better define those and, then, establish the frequency with which they occur. Turns out, the calculation’s not so simple as you might think.